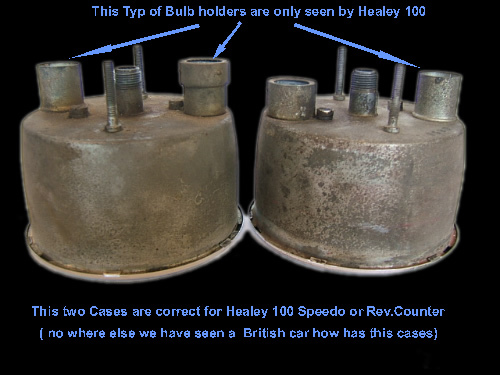 Healey 100 Instruments are very special ! are diffrent to the other SMITHS-Instruments from the 50's and 60's. 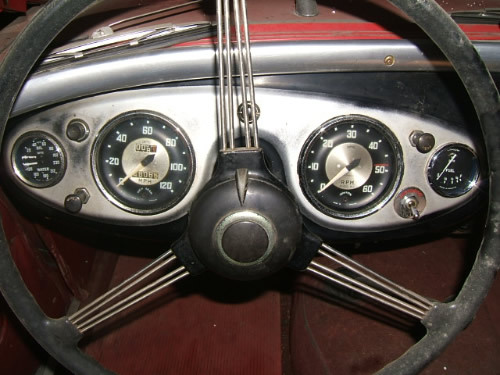 The Speedometer and Rev.Counter case is special . 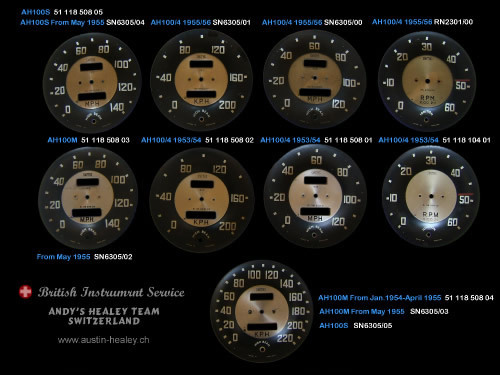 The Dials are made of Brass or Aluminum. 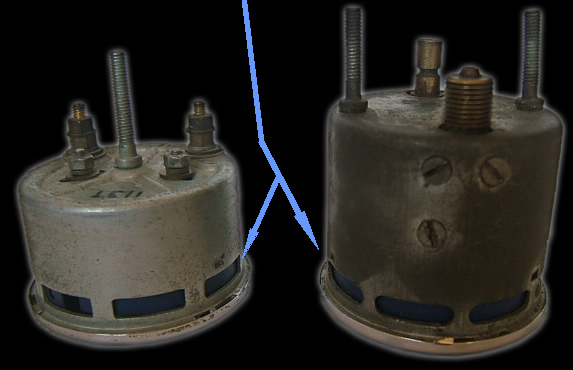 We don't know way but it seems SMITHS Factory had two sources to make them. The Aluminium ones had the center just brushed an polished. The Brass ones are real Silver plated and the center is polished ! 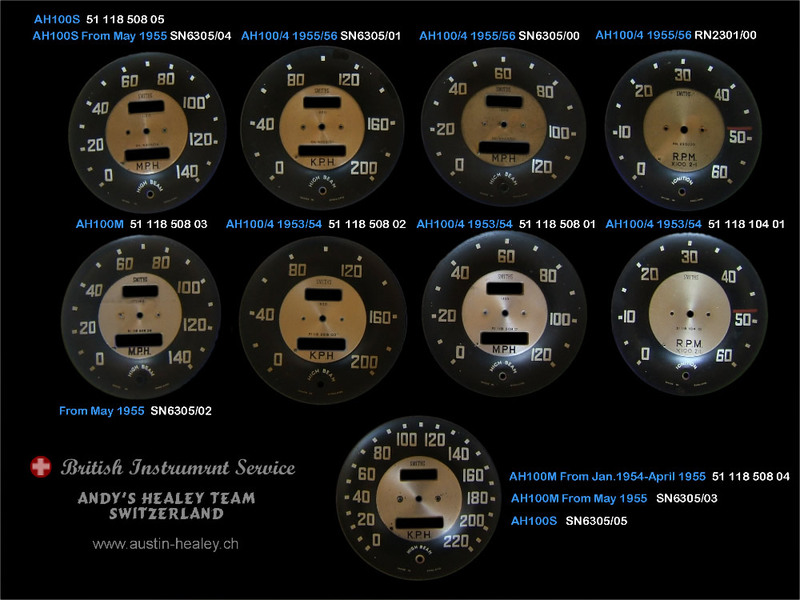 These Dials are originals and give you an idea wich one you shoud have in your Healey 100.